The No. 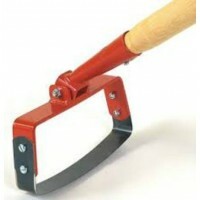 1 Tool - The double action Oscillating Hoe - Large (Width 175mm) HANDLE NOT INC. The double action Oscillating Hoe has an outstanding reputation for being fast and effective. Weeds ..